The global brand boss of Genesis believes that halo cars will lose their significance in the future. 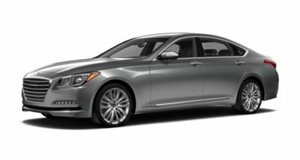 It’s taken time, but Hyundai’s luxury sub-brand Genesis finally has some interesting cars in the pipeline. The reveal of the elegant GV80 SUV concept at this year’s New York Auto Show signalled a radical new direction for the brand in a belated attempt to reidentify itself. Meanwhile, the Korean automaker is also working on a stylish flagship coupe. What you won’t see, however, is a Genesis halo supercar with blistering 0-60 mph times, despite other automakers commonly using this tactic to raise awareness of the brand. Speaking to Australian site Motoring, global brand boss, Manfred Fitzgerald believes a halo sport doesn’t represent the values of the Genesis brand. Whereas its luxury car rival Mercedes has got everyone talking about its extreme Project One hypercar, Fitzgerald told Motoring that Genesis doesn’t need a high-performance halo car to attract the attention of potential customers. With the rise of EVs, he also argues that halo cars won’t have the same significance they have today. “Alternative propulsion systems are at the core of this brand,” he said. “We truly believe in that. If you look at what’s happening with electrification, performance will not have that dominant role anymore. If you can accelerate to 100 km/h in under three seconds it’s meaningless. Whether its 2.6 or 2.7 seconds who cares? Our customer doesn’t. That’s not going to be your competence anymore.” We never thought we would see a former director of brand and design at Lamborghini utter those words. “The customer will be compelled by other things — the brand, the design, connectivity, interior looks”, he continued. “Those will be the future hallmarks of brands.” While the upcoming GT coupe will likely become the flagship halo car Genesis needs if it is to survive, don’t expect it to have the potent performance of halo cars offered by its luxury car rivals. While Lexus has the LFA, Audi has the R8, Acura has the NSX, and Mercedes has the AMG GT, Korean car manufacturers seem reluctant to jump on the halo car bandwagon – we’ve yet to see the likes of Kia, Daewoo, or SsangYong make a halo supercar. By going against the popular convention, hopefully Genesis can carve out its own luxury car niche to stand out from the competition.